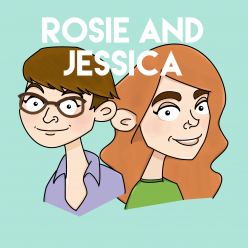 In episode 75, Rosie and Jessica heap extravagant praise on their Patrons and celebrate four years of podcasting with a trip to see Guys and Dolls. Plus, Rosie’s been to Wales and Jessica’s been working and watching Pretty Little Liars. A rundown of their Top 5 Animated Films leads to some pretty strong 90s flashbacks, while an unexpected ladybird sends things off track. Jessica picked Do You Love Me by The Contours, while Rosie went for Give and Receive by The Smoke Fairies. Just in time for the spring, Rosie’s made some Totoro mittens. Previous Previous post: Bonus Episode: Birthdays and Patreons!